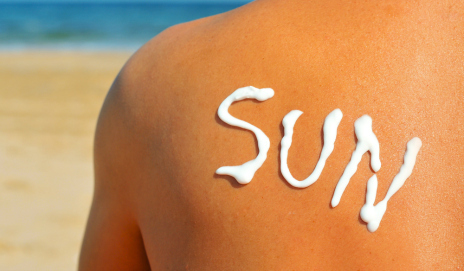 10 THINGS THAT HAPPEN WHEN THE SUN COMES OUT IN BRITAIN. Hey guys! I hope you've all had a lovely sunny weekend filled with burgers, Pimm's and Mr Whippy's. I have to say I was not prepared for it, running around London in jeans with a heavy bag, in and out of the tube was not my idea of fun. I also had a lot of time to people watch, and these are just some of the things I picked up on. 1. People actually smile! Especially in London this is a rare sight, but there's something about the sunshine that has people feeling all warm inside (hehe). 2. People in supermarkets will be fighting for the last pack of sausages to BBQ, even the quorn ones - yikes. 3. There'll be a strong scent of BBQ and Hawaiian Tropic lingering in the air for days to follow, as lovely as that may seem, no one likes smelling like a sausage. 4. Every woman seems to have their toenails perfectly manicured and people stare at your feet a lot more than usual, at least this is what I witnessed on the tube today. 5. You realise how prepared brits are when it comes to "above 20 degrees attire" and girls can finally show off their gradual fake tans that have taken months of preparation. 6. Non-Brits complain about how 25 degrees "isn't even hot" - whilst sweating like a nun in a cucumber field in their jeans and jumpers. 7. You'll hear people comparing UK to how it's been hotter than Ibiza, as if that's suddenly going to make your town the next go to place for a pool party with Calvin Harris and the perfect spot for opening a new Ushuaïa. 8. People run to the closest patch of grass and lay there in minimum amount of clothing with a Pimm's in one hand and snapchat ready in the other. 9. No one will just sit there and enjoy the freak weather, there has to be proof of it on several social media platforms to share with other people also showcasing the freak weather. 10. 24 hours later, you'll look out the window at the rain and wonder if it was all a dream, but then look down at your sunburn and can rest assured there was in fact, a heat wave. not as great when there's no pool near by!